It is ten years ago today since this journey I am on began. Yes my friends, August 23rd 2004 is the day I discovered the music of Leonard Cohen and it is something I will be eternally grateful for. Discovering Leonard and his music has been life changing for me. I have Leonard to thank for my first ever trip out of Ireland in 2010, when I went to see him perform in Katowice and readers of this blog will know I’ve had many more adventures since then. Most recently I have Leonard to thank for having my first ever photography exhibition which can be seen in the most recent post below this one. Ok Leonard had nothing personally to do with that but it was through my love for him that the opportunity presented itself. These are just two examples of the many ways Leonard and his work have enriched my life. 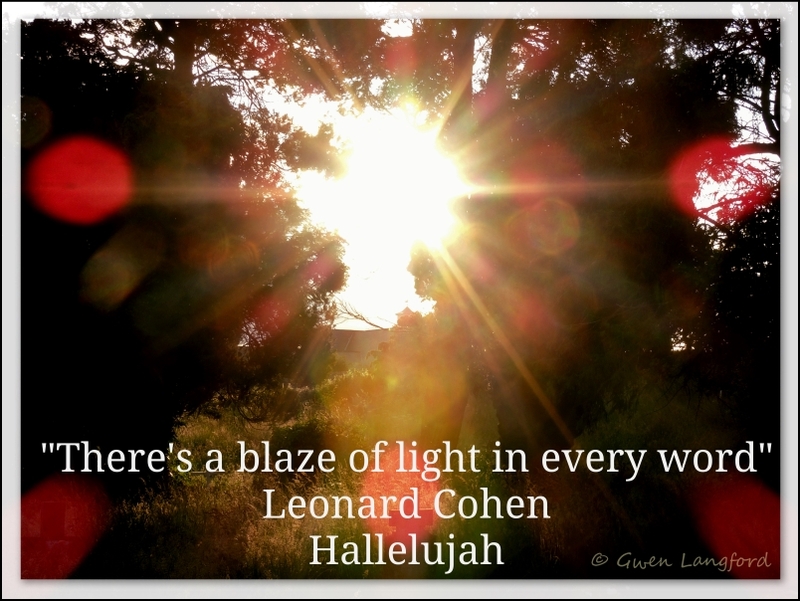 When I think back to that night in 2004 and hearing Jeff Buckley singing Hallelujah I only wish I can remember the actual date of when I first heard Leonard sing the song. However a line of Leonard’s fits here too, “There is a crack in everything, that’s how the light gets in” from Anthem. This is a very good life lesson that I learned from Leonard. Not everything has to be perfect, sometimes cracks are ok. Thank you Leonard, and here is to the next 10 years and beyond. P.S My 10 year anniversary means it is 20 years since the release of Jeff Buckley’s album Grace. Jeff may have departed our world since then but this album remains a classic and one that stands the test of time.